If you are a BMW purist, then you should probably stop reading this now. 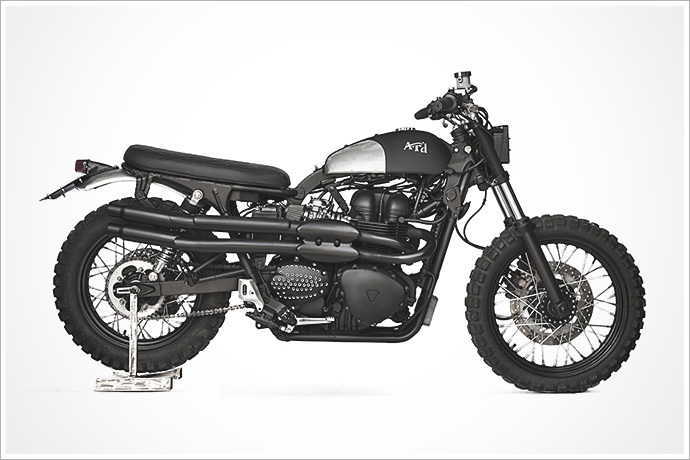 You see, most of the time we start these stories with “the donor bike was a complete wreck when they found it, you could hardly tell what make of motorcycle it was, it looked like it had been sitting on the bottom of the ocean for the last 30 years”, or something to that effect. Not this time. 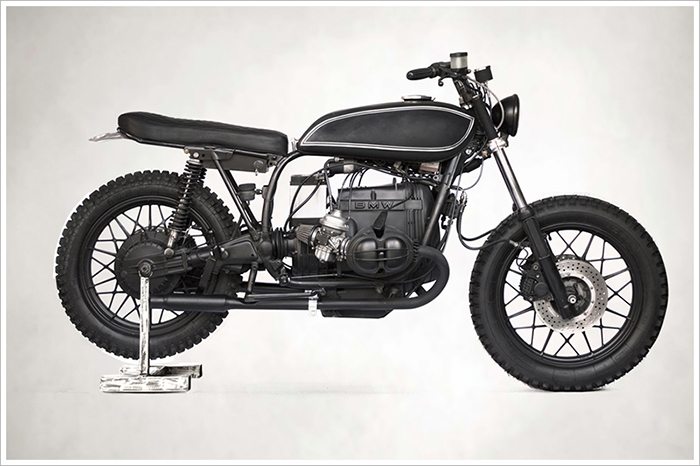 When the guys at Anvil Motociclette went searching for an airhead donor they eventually found the perfect BMW R100. Maybe a bit too perfect. So perfect that the customer who commissioned the build was hesitant to use it for the project – thinking it might be better to preserve it for history’s sake. After a little bit of persuasion and a detailed sketch of the proposed build, he quickly changed his mind and gave them the green light to get started. 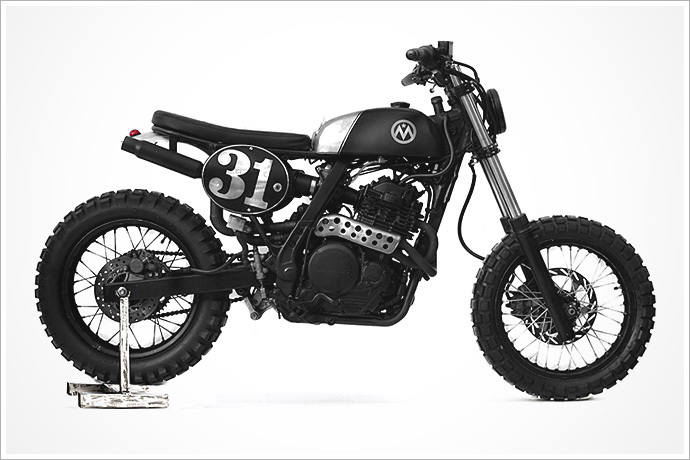 Of all the strange and wonderful donor bikes you could pick for a custom project, it’s hard to think of one that trumps the indefeasibly popular Honda Dominator. In orginal form, its look is a rather alarming mix of awkward plastic mouldings and 80s graphic styling – as if a Duran Duran album cover and a wind-up praying mantis had somehow managed to produce a freakish love child. Which makes the production of any cool-looking bike out of its freakish lines a particularly skilled accomplishment in our books. 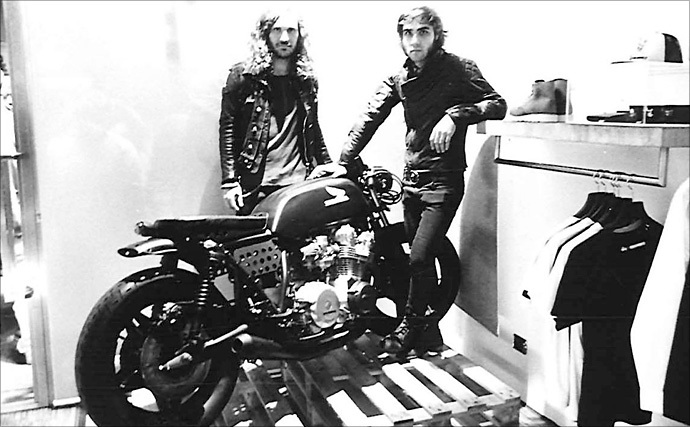 Cue the latest build from our favourite Northern Italians, the alarmingly Rock’n’Roll Marco and Phonz with their Honda Dominator named “Madunassa”. How much do we love you guys? 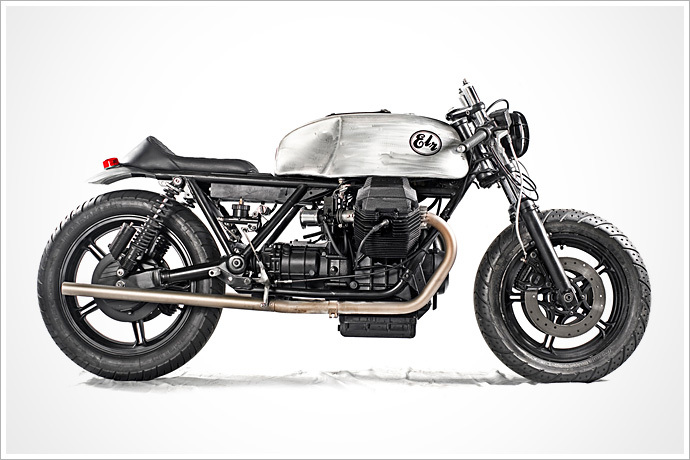 Here’s not one amazing bike, but two of them, served up with some delicious pasta dishes, a Spanish road trip, and a side of authentic Italian design genius. 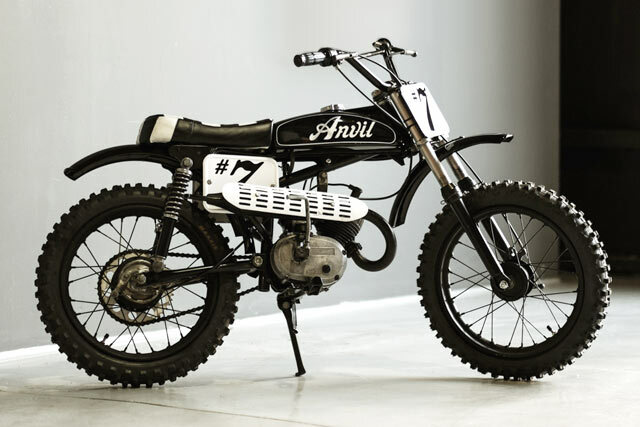 Welcome to the Ristorante Anvil Motociclette. Buon gusto!